Conjure up a snuggle storm with these lovable clouds. My baby girl shares her space with a double bed so I’m always looking for accessories to help soften the room’s semi grown-up attitude. These sweet cushions would suffice, they look cute and incredibly cuddly. 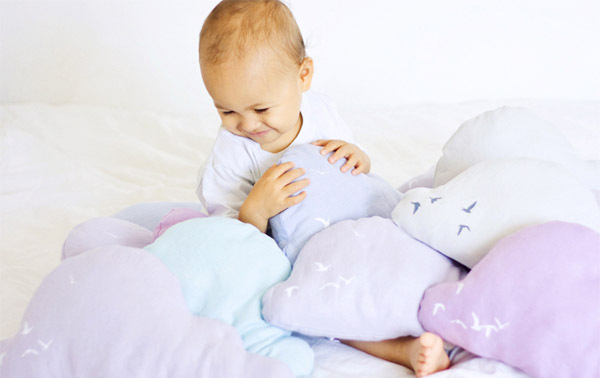 The Cloud cushion is hand-made by Lovemaki in four pastel colours. Each cushion is stuffed with eco friendly wool and is made with pure linen. I love linen for its supple and understated quality. I think it’s one of the most beautiful fibres you can use in a nursery. Best of all, linen ages gracefully. The Cloud cushion sells for US$49. 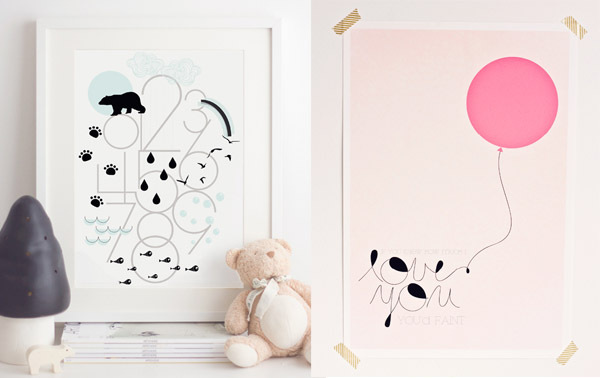 Lovemaki also have a collection of printed artworks. Like the cushions they are pretty and breathe love. My favourite reads ‘If you knew how much I love you, you’d faint’. It also comes in French. Art prints start at US$20. The Toronto-based company launched last year from an idea hatched in 2008 after the arrival of a baby boy named Maki. Hence the name Lovemaki. All items are designed by Maki’s mum and the company’s owner, Justine Cajanding. She describes her style as ‘sweet but sophisticated and whimsical but wise’. 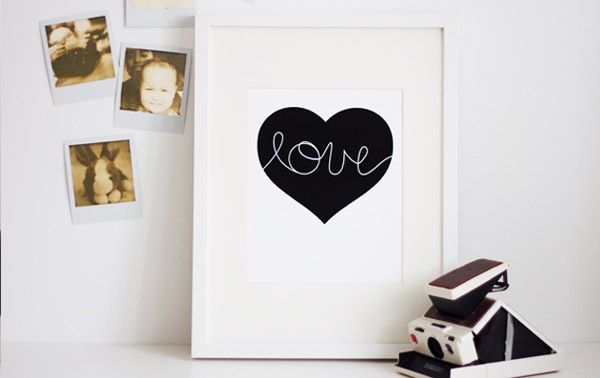 You can tell she crafts with love in her heart by the sense of nurture in each item. Cloud cushions and art prints are available online at the Lovemaki shop. For more sweet cushions see our post on Lil Hoot, another range of whimsical cushions.